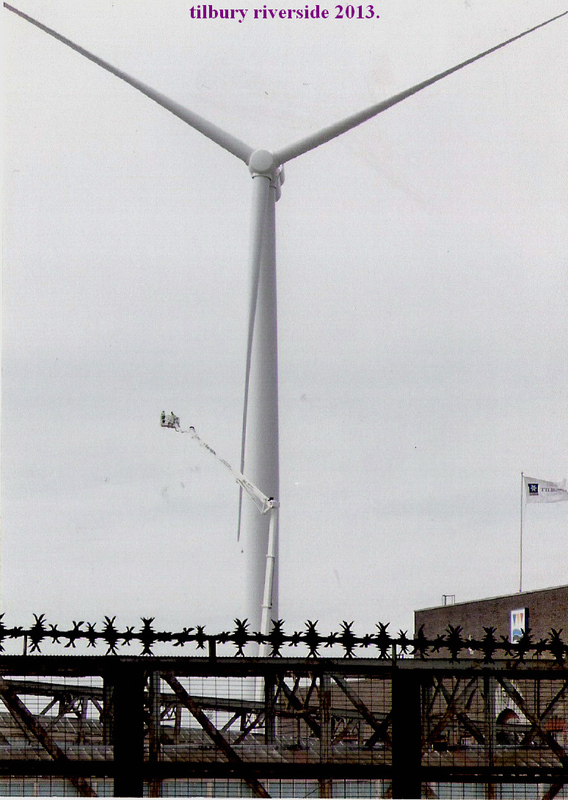 You could say these four wind turbines will be a part of Tilbury and Chadwell memories in years to come. 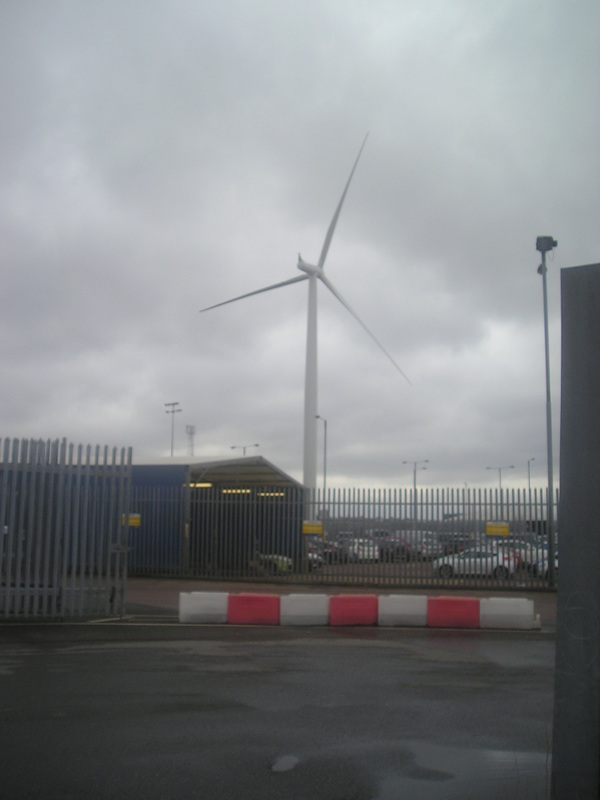 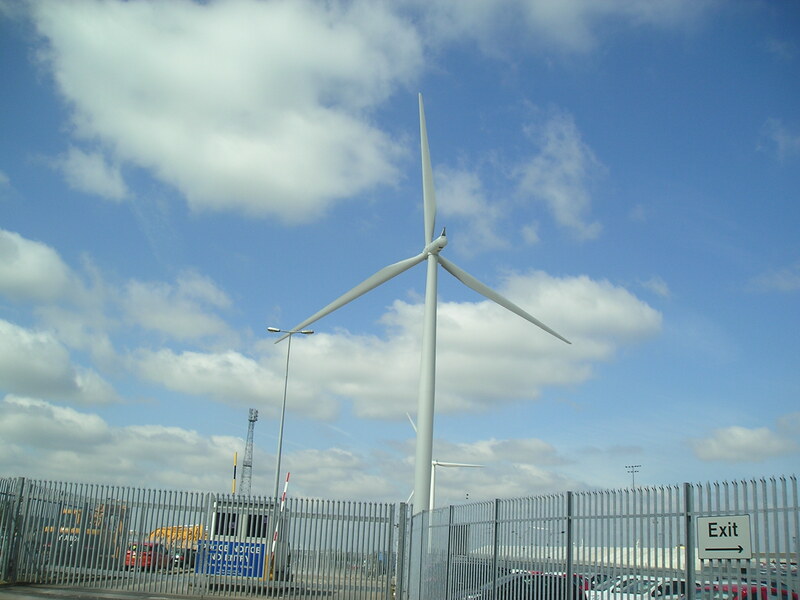 But they have just been installed this year (2013) in the Tilbury Dock grounds, and are generating 50 percent of the port’s electricity needs at the moment. 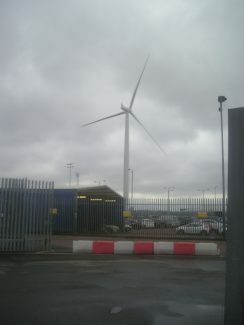 They are spaced out along the river front and are enviromental friendly to the public. 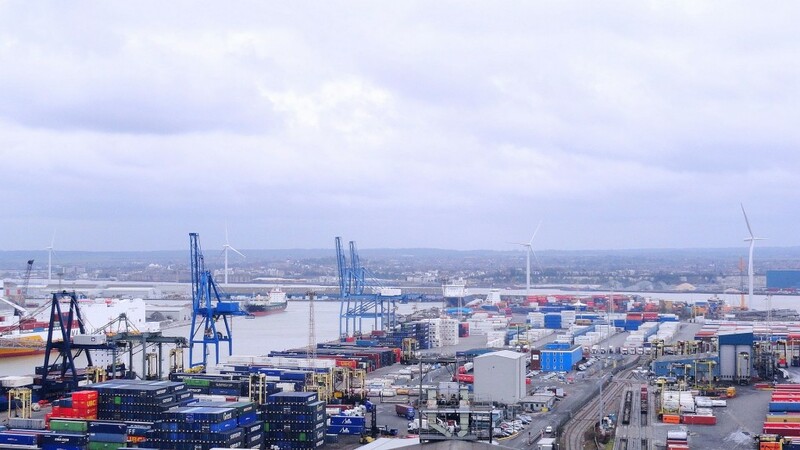 It looks like they will be an iconic feature for the future in Tilbury. Thanks John for adding these photos. 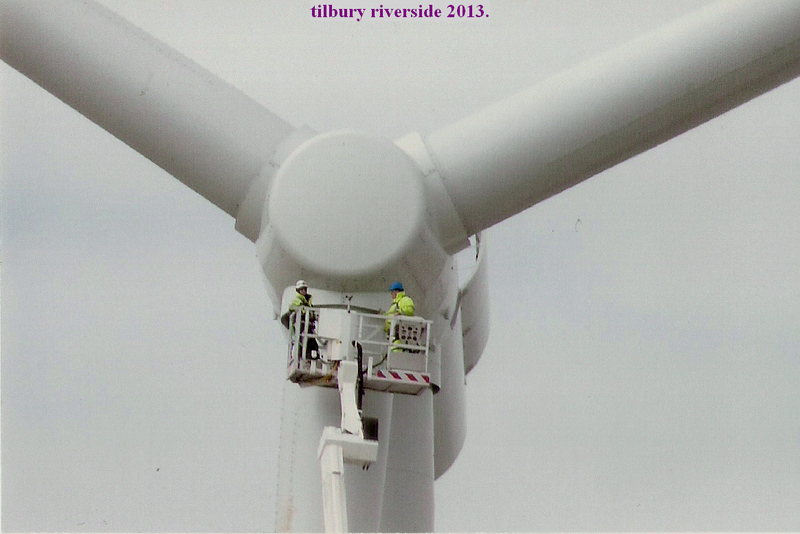 It will be part of the history of Tilbury for future generations.